Is hiking on your summer bucket list? It is definitely on ours. 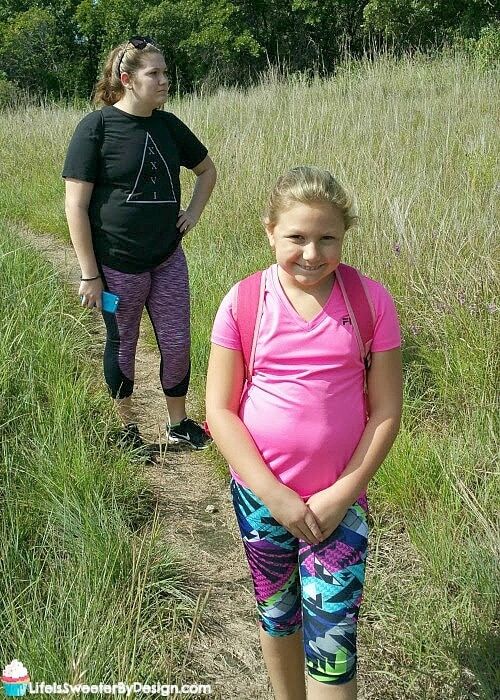 My girls and I love to hike even here in Kansas. 🙂 We typically only do day hikes. It is such a great way to spend quality time together out in nature. Even day hikes requires some planning. I want to make sure we have all the supplies we need when we go out. 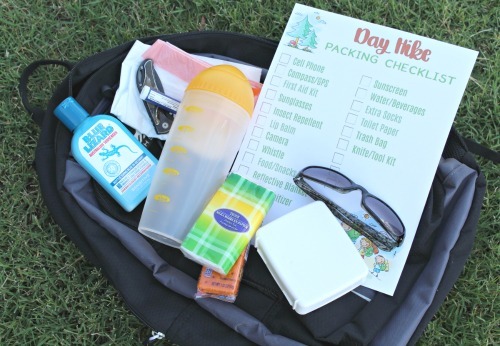 I have a hiking checklist for day hikes to help me remember everything! I know my cell phone won't always work in areas where I am hiking, but I don't want to leave home without it. We usually hike in out-of-the-way areas and I would not want to have vehicle trouble on our way there or home. If we have any injuries or issues while we are hiking I may be lucky and get a signal! It is always a good idea to have a compass or GPS of some kind with you when you are out in the wild. 🙂 You could even use a good old map if you are so inclined. 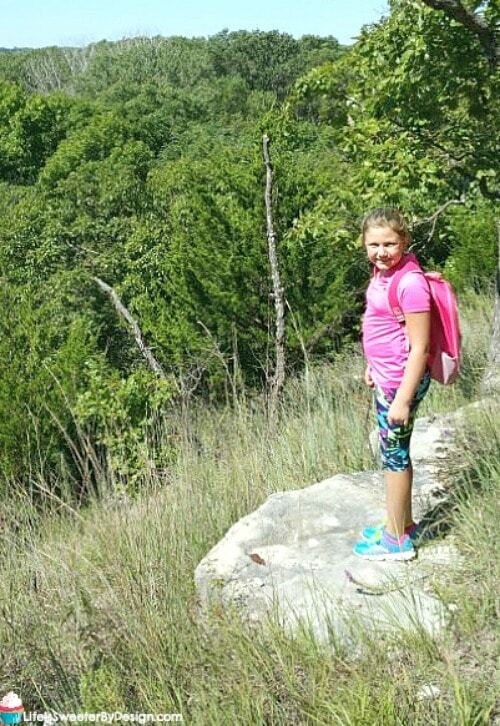 My girls and I typically hike in areas with established trails, but we do sometimes wander off the trail. It can be easy to get turned around and a compass may come in handy. I am clumsy and prone to injury, LOL. It would be a really bad idea for me to go hiking without a first aid kit! I always keep one in my hiking backpack for those little injuries. Some of the items I want to have in my kit are bandages, antibiotic ointment, single use ice packs and moleskin for blisters. It is a myth that hiking is always in a wooded, shady area. 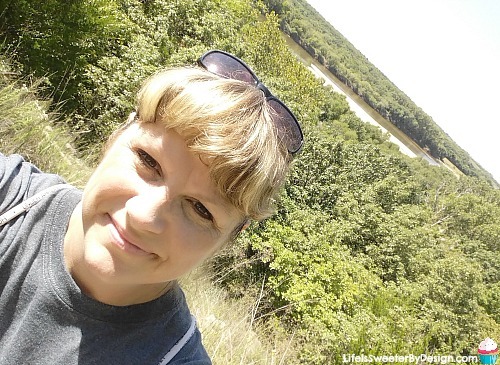 In Kansas we usually hike through some grassy areas that are tree free in order to get to the wooded areas. I have forgotten my sunglasses before and always regretted it! Depending what time of year it is we probably need some bug spray. If there has been any rain then we have to avoid mosquitoes in our area. Ticks are also a problem in wooded areas and also when we walk through tall grass. Nothing ruins a good hike more than getting eaten alive by bugs!! One area of the body that gets left out when we apply our sunscreen in our lips!! Lips need protection too and a good lip balm with some SPF is perfect protection when hiking. I love taking pictures on our hikes. The landscape, scenery and even my girls being funny all warrant a photograph. We have been amazed at some of the weird plants and bugs we have seen and it is fun to grab a picture of them to look back on later. If your cell phone has a good camera then that will work too. Planning ahead for the unexpected can save lives. Throwing a whistle in your backpack could be the key to rescue if something major happened. Think about what options would be available if you had an emergency and no cell service and no way to hike out for help? Blowing a whistle repeatedly could definitely bring help your way! Never leave home for a hike without some food. 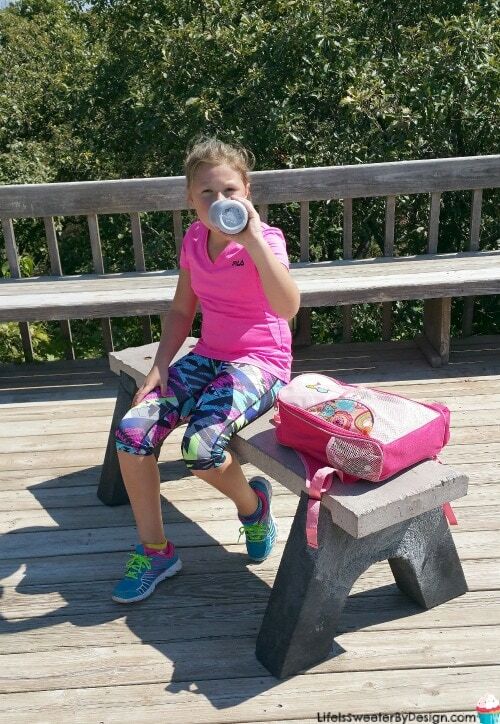 We usually pack our lunch and eat along the trail. I also pack some other nutritious snacks because we always work up a big appetite. Try to pack items that don't need to be kept cool to save you from having to carry ice packs and weighing your backpack down. This is another item that I pack as a precaution. We don't plan to spend the night on our day hike. Nevertheless, if we were to get lost (which happens….just watch the news) and we were forced to spend the night we may need that reflective blanket to stay warm overnight. It is a cheap item to buy and is folds up very small so it won't take up much space. I don't know about your hikes….but there is nowhere to wash my hands when we are out hiking! Sometimes I have an overwhelming desire to clean my hands! I guess it the nurse in me, LOL. Bringing a small bottle of hand sanitizer is definitely better than nothing. I don't always wear a hat when I hike, but it is nice to have one in my bag in case I want it. Keeping the sun off of my face is nice if we are in a sunny open area. We have not needed to use matches on one of our hikes, but I want to be prepared just in case. It is so simple to throw a small pack of matches in a plastic bag into my backpack. Staying protected from the sun is a big priority for me. We always apply our sunscreen before we leave for the hike. Depending on how much sun we are getting we will reapply during the day too. I have started buying Blue Lizard® Australian Sunscreen at Walmart when I am out shopping. They have a unique zinc oxide formulation and Blue Lizard® provides amazing broad spectrum UVA/UVB protection. 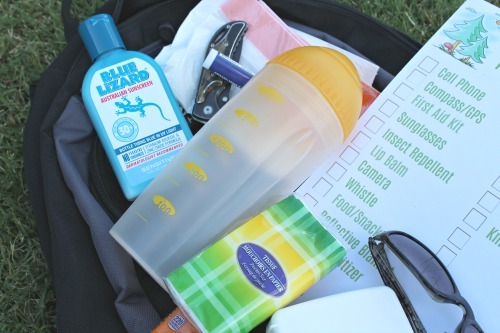 Did you know that Blue Lizard® is the only sunscreen to have Patented Smart Bottle™ technology? The bottle actually changes color when exposed to harmful UV sunlight. How cool is that?? It is such a great teaching tool for my kids to help them remember to reapply the sunscreen! 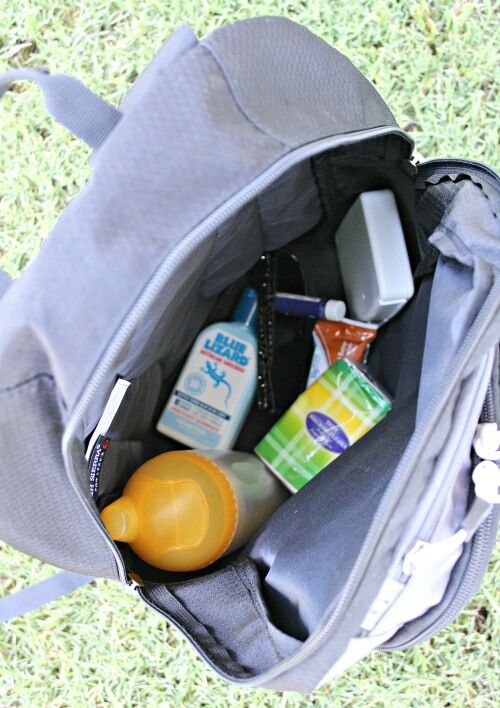 I love the Blue Lizard Australian Sunscreen® Sensitive because it is paraben-free, chemical-free and fragrance-free. Blue Lizard® sunscreens are ranked as one of the top sunscreens by the Environmental Working Group. I have been known to get blisters from wearing sweaty socks on a hike. This can make the walk back to the vehicle long and torturous. I learned to bring along an extra pair of socks so that I can change during the day if needed. Dry socks really do protect your feet. It is just a fact of life that if you are hiking all day eventually you will need a bathroom break. Depending on where you are hiking….there may or may not be an actual bathroom. Bringing along some toilet paper or tissues can save you from an awkward situation. Using leaves is really overrated, LOL! A plastic sack for trash is vital for several reasons. First off….if you do need to use the bathroom then you will need someplace to put your toilet paper. If you eat on the trail you may have trash from the meal. There may just be litter along the trail that you want to pick up. Please don't leave any trash behind when you are out hiking!! Tossing a plastic bag in for trash is simple to do and is the right thing to do. Sometimes a knife or small tool kit is needed. Having a small knife with some tools attached is perfect. It doesn't take up much space and may come in handy when you are away from civilization. The easiest way to make sure you don't forget anything important is to have a checklist to refer to. I made a hiking checklist for day hikes to help me remember what I need to put in my backpack. You can download your free printable hiking checklist for a day trip here or by clicking on the image below. I added a few blank spots on the checklist for you to add items that aren't listed! If you have the Ibotta app then be sure to take advantage of the $4.00 Ibotta offer when you buy Blue Lizard® Australian Sunscreen. I love to save money on my favorite products!! 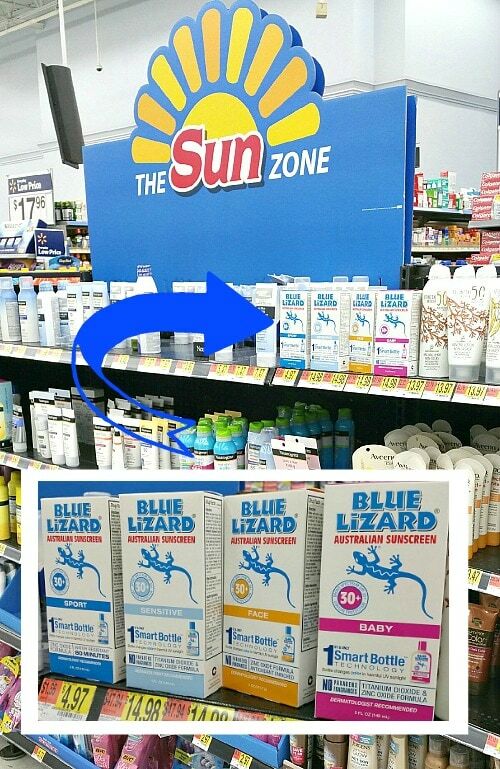 Look for the sunscreen display when you are Walmart so you can grab your Blue Lizard® Australian Sunscreen. These are great tips. You really need to have your ducks in a row when you hit the trail. What a great list! I would add wet wipes to this list instead of the hand sanitizer, because that’s what our family uses, but other than that, it looks like you covered everything. One thing we always take is flip flops for every member of the family. They are so easy to carry and are great when you find a creek to play in. Flip flops are a great idea!! Hiking is by far my most favorite summer time activity. We try to go every weekend. These are all very important essentials! I love your checklist. We have recently moved to a place that has lots of beautiful hiking trails. Thanks for the tips. These are really great tips! It’s so important to be prepared and a checklist like this would help me not to forget anything. Such a great reminder of what to pack. I honestly would never have thought of the extra socks! These are such great reminders of what to bring. I honestly never would have thought of the extra socks. Sunscreen is one thing we never forget when we plan an outside family day. I’ll have to check out the Blue Lizard Australian Sunscreen. It sounds like a great product! 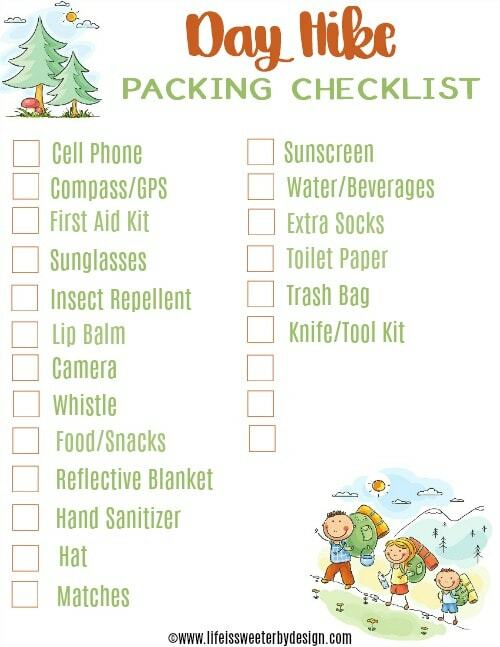 This is a great packing list for hiking. I need to print one off for this weekend. We have a day trip of hiking planned. I always pack a backup phone charger. It uses a battery to give your cell phone a quick charge in an emergency. I hadn’t thought about all of these things! Good ideas. I think we’ll have to check out some of the nearby nature centers. We love taking hikes as a family too! It is such a fun experience to explore all this beautiful earth has to offer. Sunscreen and bug repellant are musts for us! If the sun and heat didnt burn me alive, the bugs would surely eat me alive. You really can’t miss the first aid kit! This checklist has everything you need! It’s awesome to be able to hike knowing that you’re not missing anything that you might need during the day. These are some very important tips. You never know what is going to happen when you get out there. There’s no excuse for not being properly prepared. We love that brand. Great tips. Our boys are in scouts so there are plenty of hikes coming up. This is a great list I need to print out for this summer. We love taking hikes! Rain gear is a good idea to take along. A poncho can be used for many things; to keep you dry, as a tent if you get stuck or just to sit on. Also a bandana should be in your pack as it can serve many purposes too; a headband, sun protection for your neck, breathing filter, a sling or tourniquet… the list for this goes on and on. Thanks for the tips! Great ideas.